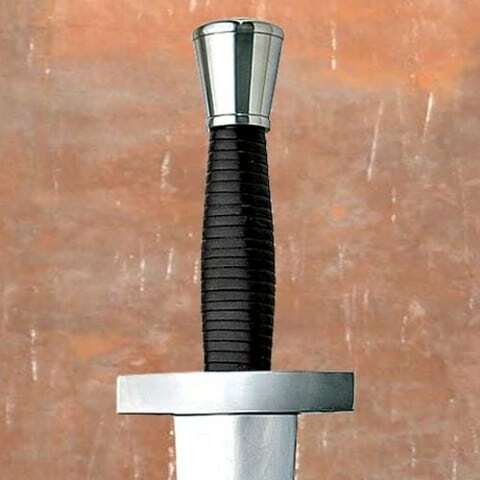 One of the finest weapons coming from the 5th Century. Leaf shaped blade very popular throughout the ancient world. Used in place of the spear and shield. Stong well tempered blade 56cm x 5.5cm. Overall length 72.5cm. Weight 1kg. 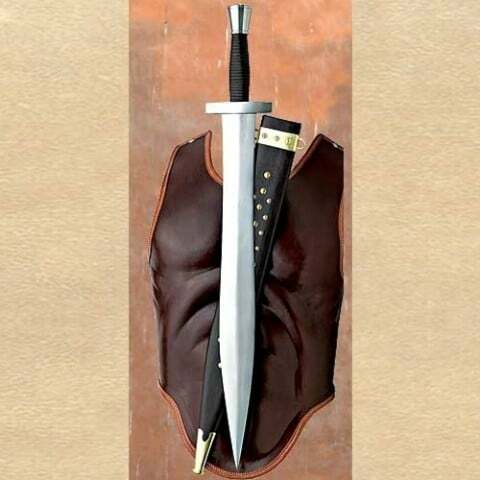 Comes with leather covered wood scabbard.